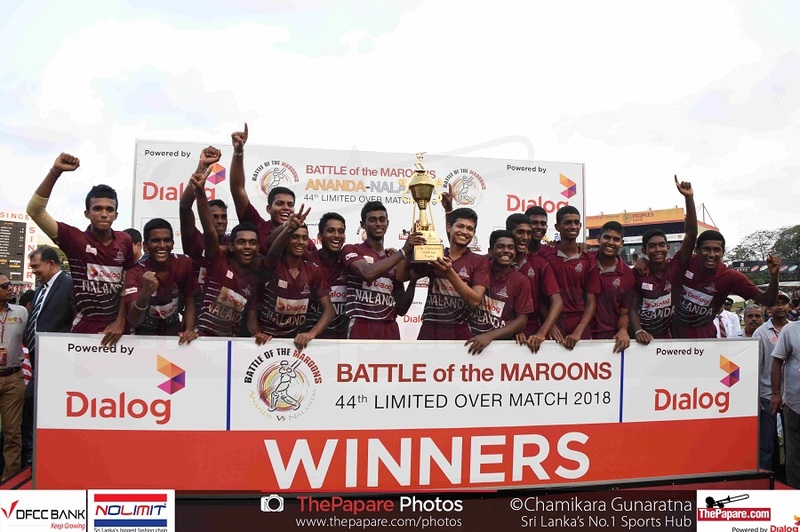 Superior bowling coupled with sensational batting took Nalanda College to a comprehensive 5-wicket win over arch rivals Ananda College as they retained the D.S. 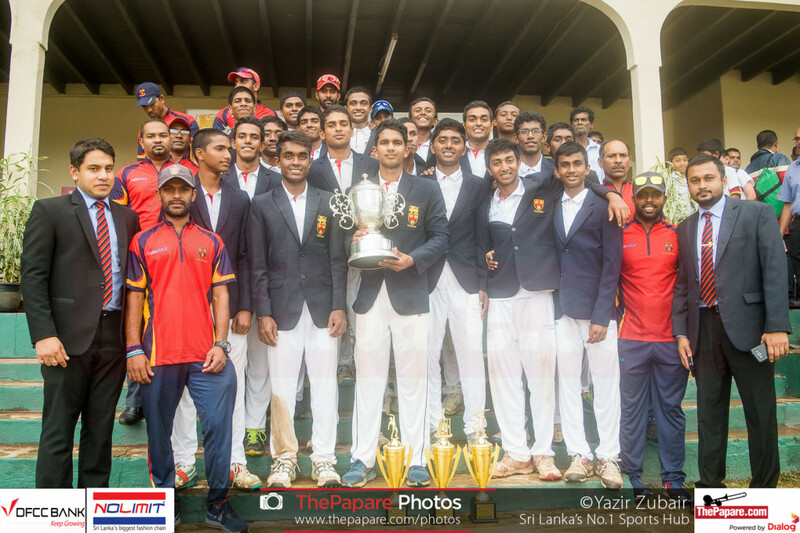 Kularatne Challenge Trophy. After been sent into bat, the Ananda batsmen got off to a stable start as the opening pair put on 29 runs for the first wicket. Kanishka Ranthilakage was the first to make his way back to the pavilion for 7 as he was caught off the bowling of Chamindu Wijesinghe. Fellow opener Kavindu Gimhana followed suit as he was caught off the bowling of Kaveesh Madurapperuma for a well-made 32 off 47 balls. Centurion from the big match, Kamesh Nirmal did not trouble the scorers as he was dismissed for a duck as Ananda was in a spot of bother at 57 for the loss of 3 wickets. Dushan Hettige was joined by captain Asel Sigera and the par made up for lost ground, putting on 49 for the 4th wicket. Hettige fell for 33 as he sought to up the ante. His 49 run partnership was followed by the highest partnership of the innings as captain Sigera steadied the innings, putting on 78 runs for the fifth wicket with Lahiru Hiranya. Hiranya fell for 38 — second highest scorer of the innings — as Ananda were yet again in a spot of bother at 184 for 5. Sigera batted through to the 49th over, scoring 87 runs as he guided his side to 240 for the loss of 8 wickets. His dismissal brought about the end of the innings as the next 2 wickets fell for just 4 runs as Ananda were all out for 244 after being sent into bat. 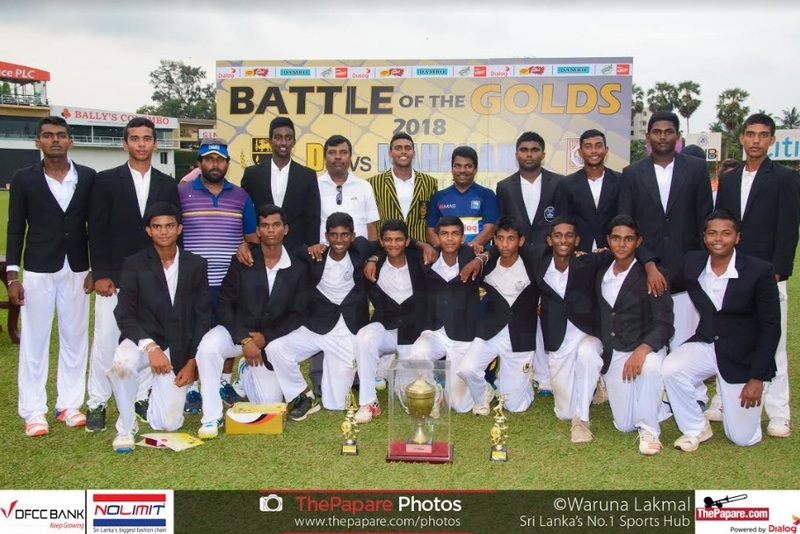 Nalanda Captain, Lakshitha Rasanjana was the pick of the bowlers with 3 for 48 while Chamindu Wijesinghe ended with 2 for 33 with two maidens and Kaveesh Madurapperuma 2 for 40 in 9 overs. In reply, Nalanda College got off to a brisk start thanks to their openers as the two put on 63 runs in 8.3 overs for the first wicket. Off spinner Hasindu Chamika obliged, dismissing Ranidu De Silva for 36 off 44 balls as Ananda Captain Asel Sigera looked for ways in which to restrict the scoring. One wicket brought two further breakthroughs. First fellow opener Avishka Perera was clean bowled by Sanath Dassanayake for 21 and in the very next ball, Dassanayake instigated a brilliant run out, off his own bowling, to dismiss dangerous Lakshitha Rasanjana. 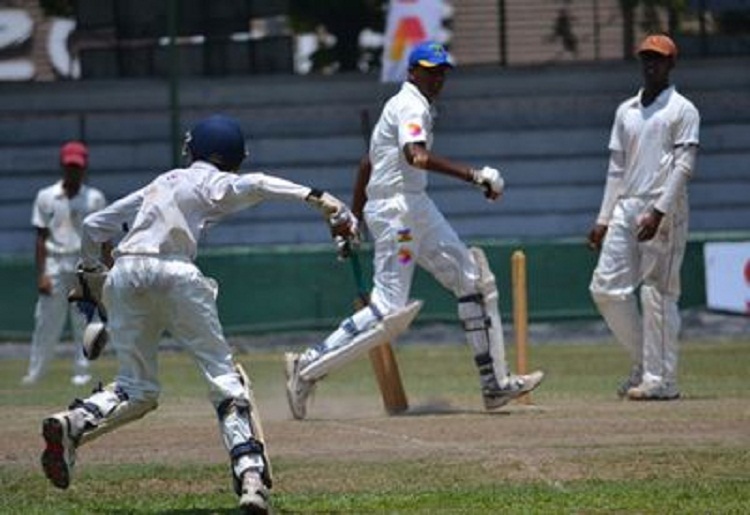 Vice-captain Suhanga Wijewardena and Dilhara Polgampola put on the match winning partnership for the 4th wicket, scoring 75 runs taking the game towards safety. Polgampola lost his wicket for 37 runs as he was caught off the bowling of Chamika Gunasekara, however, it was too little too late as Nalanda were on course for a win. Suhanga Wijewardena was the next to fall after a brilliant 68 off 71 balls. Raveen De Silva joined Chamindu Wijesinghe as the duo took Nalanda to a much sort after win, retaining the D.S Kularathne Challenge Trophy.